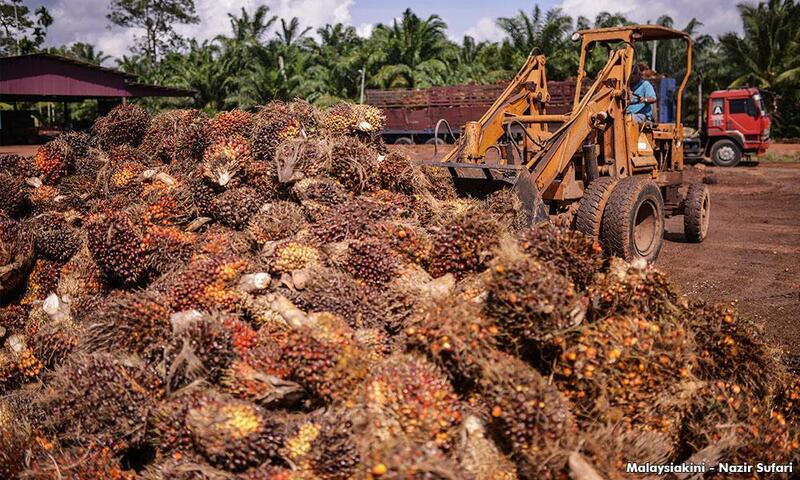 LETTER | I read with interest the many articles published recently to defend oil palm. Many writers condemned the hypocrisy of Western anti-oil palm lobbyists. Few proclaimed that the oil palm industry does not cause deforestation or trample indigenous rights but alleviate poverty and improve local livelihoods. Given their fierce defence of oil palm, I feel compelled to share the other side of the story and try explaining why palm oil has a bad reputation, especially in Western countries. Mulu natives writing to Sarawak Chief Minister Abang Johari Openg to ask for help in halting deforestation and oil palm expansion in areas surrounding Gunung Mulu National Park is just the tip of the iceberg. Published on Mongabay last year, the secret deal to destroy paradise is a more powerful example that might help to explain why oil palm is increasingly shunned in Western countries. Selling paper permits to timber and oil palm companies. The paper permits, if all sold, are estimated to be worth more than US$311 million. Wait a minute, oil palm development should alleviate poverty and improve local livelihoods, so what is all the fuss about? First, the villagers were initially given cash handouts and fed promises of development such as electricity, educational facilities and health care. An atmosphere of coercion, however, was pervasive due to unusual presence of soldiers and police in villages. Mind you, oppression and extrajudicial killings used to be a common occurrence in this region. After the land clearing started by the Digul River, the villagers found their sources of clean drinking water polluted and the surrounding natural resources which they relied on no longer available. They did not discover until much later that their sacred areas, hunting grounds and forest farms were to be converted under the Tanah Merah project. When the Auyu people opposed and refused to sign letters of support for an oil palm company that wanted to operate in their area, they were threatened with deaths. Alleviating poverty and improving local livelihoods? Depressingly enough, the poor do not get to choose and the rich, especially the timber barons and palm oil tycoons, get richer. Second, the environment impact assessments (EIAs) for the Tanah Merah project, if truly available, was completed without consultation with the local communities. Worse, the local forestry and development planning agencies were unable to provide a copy of the relevant EIAs upon request. What was more confusing was that the provincial environment agency claimed that the EIAs for the Tanah Merah project had not been completed, despite permits have already been issued. Only few photocopied pages from two of the EIAs for the project were found in the office of an auditor in Jakarta. The lack of transparency and stakeholder exclusion are troubling signs. Laws were broken and the interests of the locals were neglected, but secrets were well hidden from prying eyes. Hold on, the Tanah Merah project is taking place in New Guinea, Indonesia, so how are all these relevant to Malaysians? First, the permits were sold to Malaysian timber and oil palm companies. Just like how a rotten apple spoils the whole barrel, few companies bent on clearing vast areas of rainforest for oil palm were sufficient to give the oil palm industry in Southeast Asia a bad name. Also, mind you, the Tanah Merah project is just one of the many well-investigated examples of large-scale deforestation to allow oil palm cultivation. Second, European consumer goods producers have no easy means to trace and monitor the origin of their palm oil supplies. It is difficult to discern sustainable palm oil from environmentally damaging palm oil along the supply chain. Facing vigorous lobbying and boycott threats from informed consumers, many European consumer goods companies had no choice but to drop palm oil from their products, or risk suffering damage to their brands and significant revenue loss. The importance of sustainable certification is now apparent. Supplying European producers with only certified sustainable palm oil will deny anti-palm oil lobbyists crucial “ammunition” to continue attacking the oil palm industry. Of course, the certification scheme and enforcement must be stringent to ensure certified palm oil is truly sustainable and environmentally friendly. Regrettably, as of Nov 30, 2018, only 20.4 percent of oil palm area in Malaysia is RSPO-certified. On the other hand, 24.5 percent of oil palm area is MSPO-certified, as of Dec 31, 2018. As the mandatory MSPO certification deadline (end-2019) is approaching, our oil palm industry needs to make considerable progress. Denial of sustainability issues has been a major obstacle to reform or improve the palm oil industry. Singing praises of palm oil, rebuking Western critics for their hypocritical stance or lambasting NGOs for their use of so-called “dubious science”, I am afraid, will only serve to inflate one’s ego but achieve little to help the oil palm industry. As for the Tanah Merah project, two percent of the project area is cleared as to date. The fate of the 2,800 square km of pristine rainforest remains unknown. All is not lost, however. In March last year, Indonesian President Joko Widodo issued a presidential regulation that would compel “beneficial owners” hiding behind shell companies to reveal themselves. Also, in September last year, he signed a three-year freeze on new oil palm licenses and ordered a government review of all existing oil palm plantation permits. With the palm oil price crashing after the European Union’s proposed ban of palm oil in biofuel production, Malaysia has not been idle as well. In September last year, Primary Industries Minister Teresa Kok announced a freeze on oil palm expansion. Palm oil issue will be brought up during the Malaysia-Europen Union bilateral talks in Brussels. In addition, the government is providing smallholders an incentive of RM135 per hectare to obtain MSPO certification. Committed to achieving 100 percent MSPO certification by January 2020, our nation is serious about addressing the issue of oil palm sustainability. In this whole skirmish of oil palm sustainability, however, smallholders have always been getting the short end of the stick. Fortunately, the price of palm oil has recently rebound above RM2,200. Many smallholders should be able to breathe a sigh of relief and sleep better at night.